The aim of this article is three-fold: (a) to present an example of best practices in formative assessment in university instruction, offering three different methods of learning and assessment to pass a subject; (b) to analyze differences in academic performance depending on method of learning and assessment chosen; (c) to consider professors´ and students´ evaluation of these assessment methods, as well as analyze the workload these methods suppose for both students and professors. The design is based on a single case study. 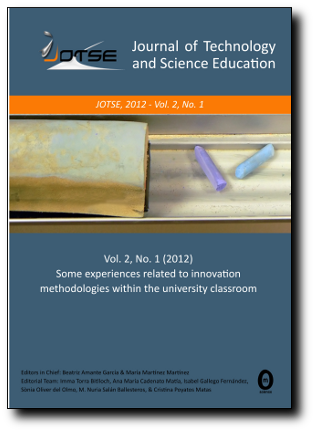 The study analyzes the results obtained in a third- year course at the University of Valladolid (Spain) that participated in an ECTS pilot program. Data was collected during academic year 2009-10. Total number of registered students was 77. This paper describes the procedure to develop a formative assessment system and collect data, as well as the main techniques to obtain and analyze data. Findings indicate that there are important differences in student academic performance depending on the learning and assessment method employed in an academic course. Courses are using formative and on going assessment result in significantly higher student academic performance than courses using other learning and assessment methods. Lastly, empirical data suggest that the workload is in line with the ECTS European Credit Transfer System, and is no excessive for the professor. However, students´ subjective perception is that this method involves a heavier workload. These findings may be important, given the current process of convergence towards the new Degrees and ECTS credit system, and the need to adapt these degrees and credits to students’ real workload.